We’re in the midst of dreary, rainy winter, but it won’t be long before it’s time for all those spring and summer weddings. If you’re in the middle of planning the ceremony of your dreams, there’s a midwinter treat to help you prepare. This Sunday, January 11, the Fort Worth Star-Telegram presents its biannual bridal show. The event takes place at the Will Rogers Memorial Center and runs from 10:30 am to 4:30 pm. There is a wedding fashion show at 2 pm. Whether you are starting your planning from scratch, or you and your spouse-to-be are just looking for the finishing touches, you will get plenty of inspiration at the bridal show. Area wedding experts and event planners will be on hand to answer all of your questions regarding the ceremony, the reception, photography, transportation, and everything in between. Of course, choosing the dress is one of the biggest decisions. The afternoon fashion show will give you a glimpse of the latest wedding dress trends, along with an array of bridesmaids’ dresses, tuxes, and mother-of-the-bride outfits. You will also be able to choose a site for your ceremony or reception, talk to caterers, and discuss options with local florists. Looking to Enhance Your Smile before the Big Day? 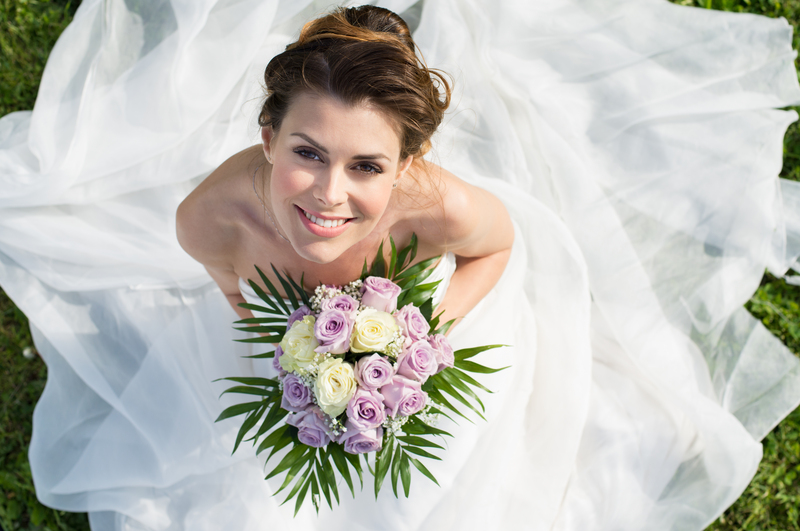 When you are planning the perfect look for your wedding, don’t forget your most important feature – your smile! You know you’ll be grinning as you walk down the aisle or watch your bride process to the front of the church. Make sure that your smile matches the rest of your stunning look. Fortunately, if you are planning a spring or summer event, there is plenty of time (and plenty of options) to achieve your dream smile. Our cosmetic dentistry can transform your look, correct aesthetic blemishes, and give you a grin that is truly worthy of your wedding day. Of course, the right procedure for you will depend on your specific goals. We also understand that planning a wedding gets expensive, and we will make sure to find a treatment that fits your budget. Options include teeth whitening, dental bonding, tooth contouring, and porcelain veneers.